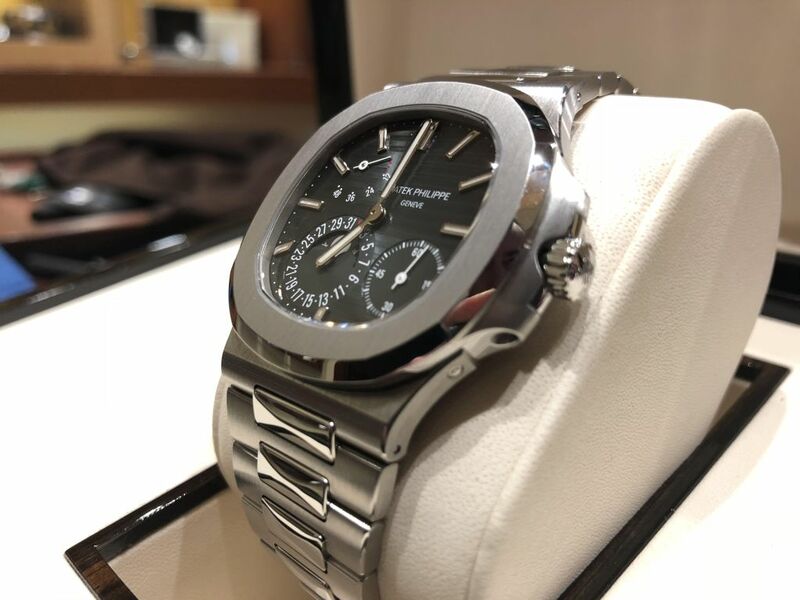 UP FOR SALE A PRE-OWNED PATEK PHILIPPE NAUTILUS. REF. 5712/1A-011. HOUR/MINUTE, SMALL SECONDS, CALENDAR, MOON PHASES, POWER RESERVE. BLACK-BLUE DIAL. 40 MM. BRUSHED STAINLESS STEEL CASE. POLISHED/BRUSHED SS BRACELET. CONDITION: FULL SET. PRE-OWNED WITH LITTLE SIGNS OF WEARING. NOT POLISHED. FEEL FREE TO CONTACT ME FOR ADDITIONAL INFO / PICTURES / VIDEO / ANYTHING. CERTIFICATE OF ORIGIN FROM 2013 , FOLDER, BOOKLETS, BOXES. INTERNATIONAL REFERENCES FROM ONLINE TRADES FOR HIGH-END WATCHES. PLEASE ASK, THIS WILL NOT OFFEND ME. I ACCEPT ONLY BANK WIRE SENT TO MY COMPANY'S BANK ACCOUNT. LOCAL PICK-UP IN MY NEWPORT OFFICE. HIGH PRIORITY EXPRESS DELIVERY WORLDWIDE WITH UPS/ DHL/ FEDEX / TNT.